Lightning Down Under Pty Ltd, commonly known as LDU is a 100% owned Australian company with a strong reputation for supplying and installing the most technically advanced and cost effective lightning protection solutions across Australia, New Zealand and South Pacific Islands. At LDU, we provide turnkey solutions for all of your power & data protection needs. We are a proud 100% owned Australian business offering the best lightning protector solutions at affordable prices in Australia. Since 1999 we have built a strong company with considerable experience in delivering professional lightning protection solutions across all industries and Government agencies. This experience has been obtained by designing, supplying, Installing and certifying over 1200 system throughout our region. We continually extend our research and design for finding the best lightning protection solutions for our customers. 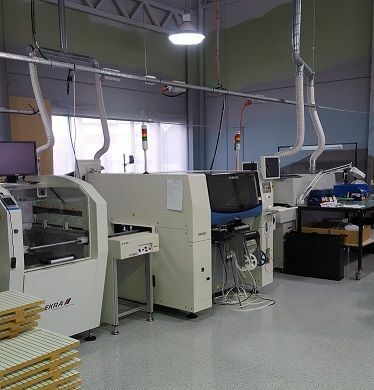 Our state of the art research and manufacturing facility is located in RICHMOND NSW AUSTRALIA. We can ensure you will receive the highest quality products at competitive prices. All of our power surge protectors, earthing systems and UPS systems meet with all relevant Australian and international standards. In 2002 we became the Australasian distributor of Indelec’s Prevectron Early Streamer Emission air terminal. This lightning conductor has a global success rate above any other system. This is verified by over 250,000 installations world wide. We recognise the quality of the lightning conductor and have successfully installed over 500 in Australia as part of our turnkey solution against direct lightning strikes. In 2016 Indelec released the Primer ESEAT system offering even more capacity to protect against lightning. We have professional consultation and installation teams who can assist you with designing the most effective, complying lightning mitigation system for your application. We also can supply and install the latest, high quality surge protectors, uninterrupted power supplies and other power conditioners for your facility equipment. Our LDU experts have over 50 years combined industry experience and have completed over 1200 projects in our region. Designing and manufacturing our own products in the E.L.F. 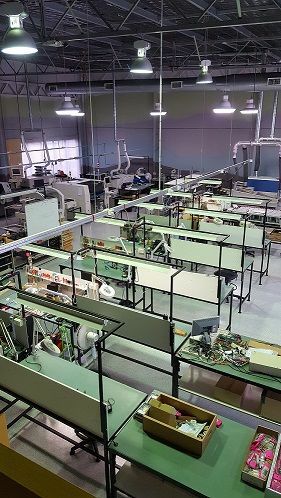 factory in Richmond NSW Australia means we can control production QA and deliver quality solutions at competitive prices. With LDU you’ll be investing in leading technology systems, designed, installed and maintained by qualified professional industry experts. Contact LDU for the highest quality installation of Lightning protectors, earthing systems and uninterrupted power supplies (UPS systems). Call the LDU team on 1800 458 775 for the most competitive prices in Australia. Since the incorporation of Lightning Down Under (LDU) in 1999, we have experienced a continued expansion. LDU has grown from being a distributor of surge protection product to designing and manufacturing our own unique protection solutions. We simply looked at what was on the market and improved on it while developing solutions for other niche applications. In 2002 we became the Australasian distributor for the Prevectron Early Streamer Emission terminal manufactured by Indelec in France. The Prevectron is the only true ESE system available today with considerable real life, in field testing using actual lightning, conducted over the past 40 years and into the foreseeable future with a their current testing facility located in Indonesia. Since then we have installed over 1200 systems throughout our region with an enviable success rate in protection against direct lightning strikes. To date we have not experienced any bypasses or failures in our systems. Indelec have installed over 250,000 Prevectron systems throughout the world. In 2003 we moved into a larger premises in McGraths Hill NSW. This allowed us to increase our capability for research and design, and our capacity for manufacturing. In mid 2003 we incorporated LDU Consultants Pty Ltd which is charted with the responsibility to design lightning protection and earthing/grounding solutions and to offer advice in the areas of lightning, surge protection and earthing. In mid 2004 we released the first of our own LDU range, the EMOV Surge Diverter. At the end of 2007 we released our EDIN range of diverters. During 2008 we developed and released a new range of surge protection under the Gatekeeper brand as well as earthing and conventional direct strike product. Adding to our core offerings, we started to resell the PowerShield range of high quality UPS’s. This allowed LDU to further enhance our turnkey solution approach. We have spared no expense to ensure the LDU range of surge protection is of the highest quality and reliability. Our product is now available throughout Australia. It is intended that our product become available throughout New Zealand and the South Pacific and the Gatekeeper brand to be exported throughout the world. During the last 26 years, I have been witness to an evolution in the industry. Once it was thought that lightning and surge protection was black magic or mystical in nature. This is a diminishing point of view, as the market gradually understands that lightning and surge protection is based purely on solid, well-grounded science. We believe the industry is maturing, developing the requirement for good quality reliable protection combined with excellent customer service. At LDU, we endeavor to supply turnkey solutions, which are both technically and economically effective. We are always looking at ways to improve both our product and service. By accomplishing this, we can keep our cost low and therefore our price to our customers low while keeping our high standard of customer service. We are proud to be 100% Australian owned and operated, and it is this pride that will ensure that we remain Australian supplying high quality, reliable economical Australian solutions to our customer’s problems. Combining our 50 years experience in providing solutions for lightning and over-voltage issues with our firm commitment to honesty, integrity, loyalty and total customer service, LDU is well placed to address any problems, which may arise and to service markets located throughout our region. We have an expert team of installers who have a combined experience of over 30 years in the installation of leading technology. We will ensure our installation is done with minimal disruption to your service. All products comply with appropriate Australian standards and international standards. We also offer annual maintenance service for keeping your system in optimum working order and a generous warranty for your LDU products.